Hi! 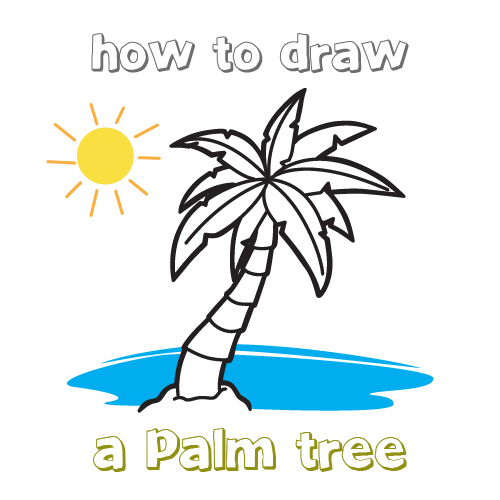 Today we're going to show you how to draw a beautiful palm tree. Just follow the easy steps! One curvy line will work as guide for the bark of the tree. 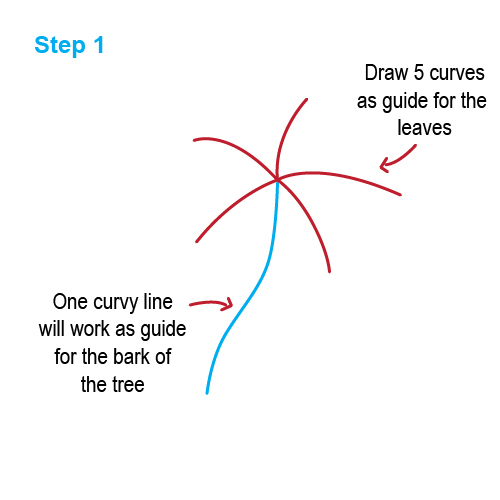 Draw 5 curves as guide for the leaves. 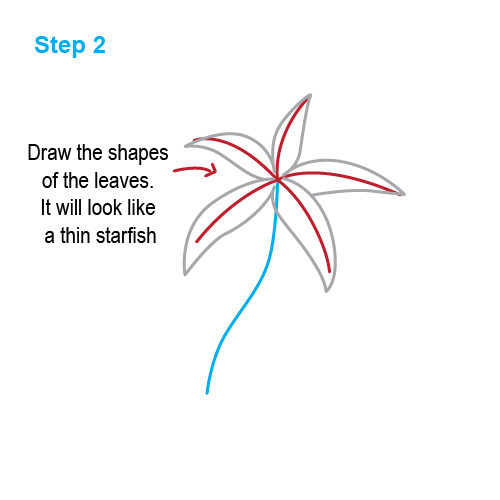 Draw the shapes of the leaves. They will look like a thin starfish. 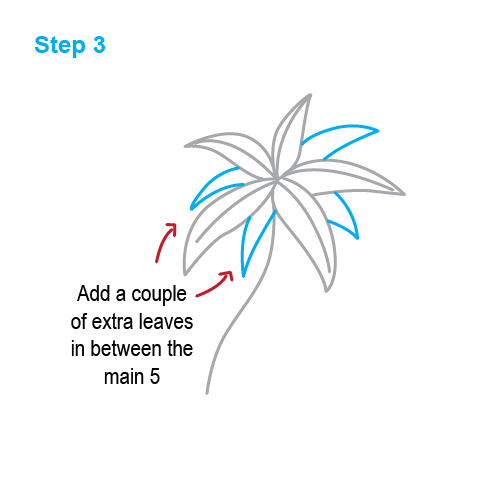 Add a couple of extra leaves in between the main 5. 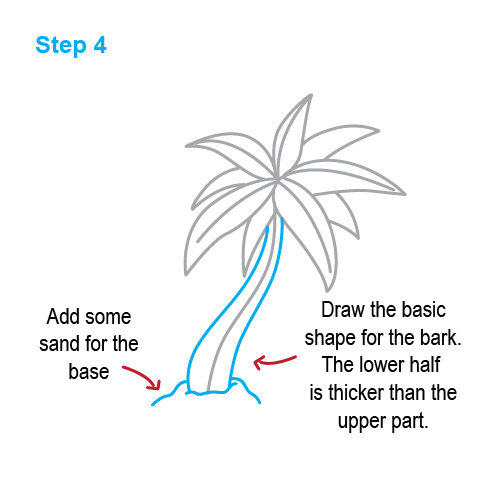 Draw the basic shape for the bark. The lower half is thicker than the upper part. Add some sand for the base. 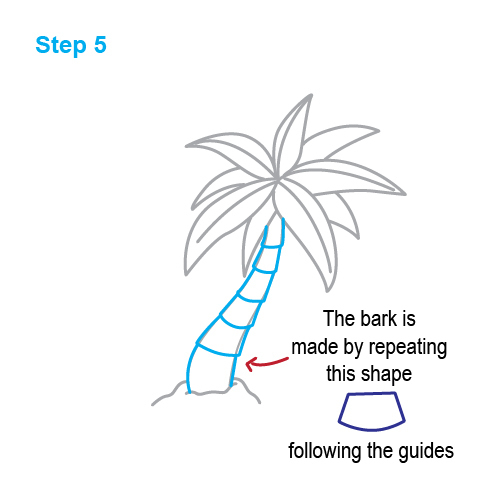 Make the bark by repeating the shape in the image. Follow the guidelines. 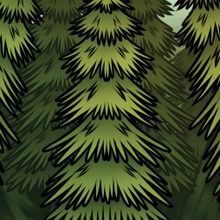 Add some detail to the leaves. Finished! 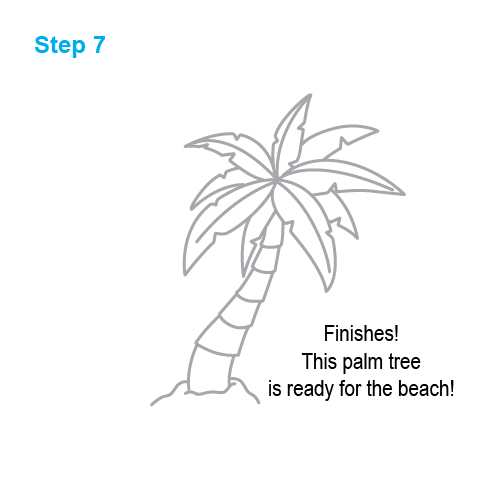 This palm tree is ready for the beach! 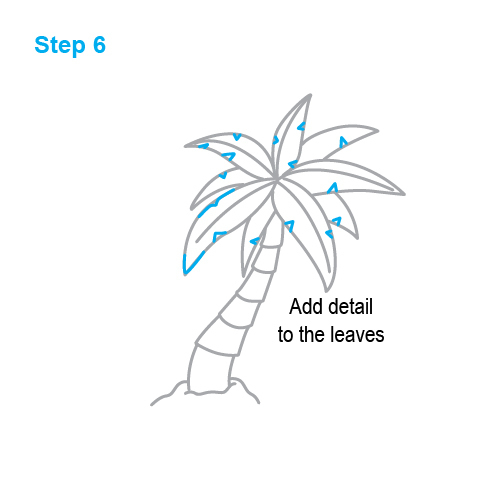 We hope you enjoyed our tutorial on how to draw a palm tree. Don't forget to give him some coloring or check out our other free how to draw tutorials.